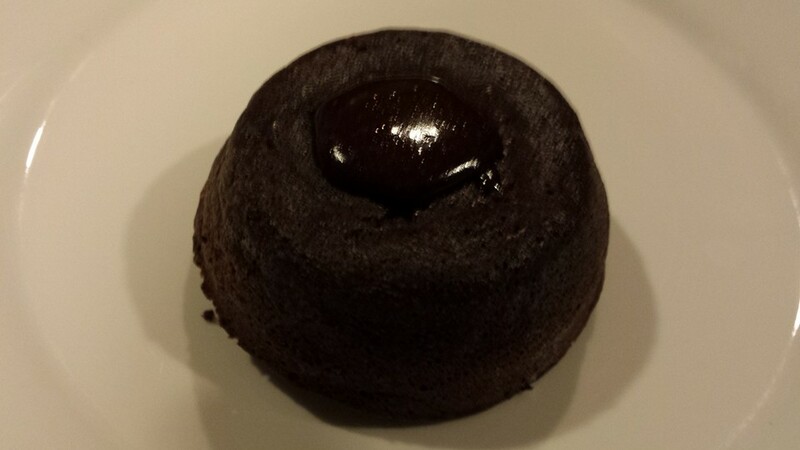 chocolate lava just happened to be the first dessert i picked to try out 3 yrs ago, shortly after i started “seriously” cooking in mar2012. 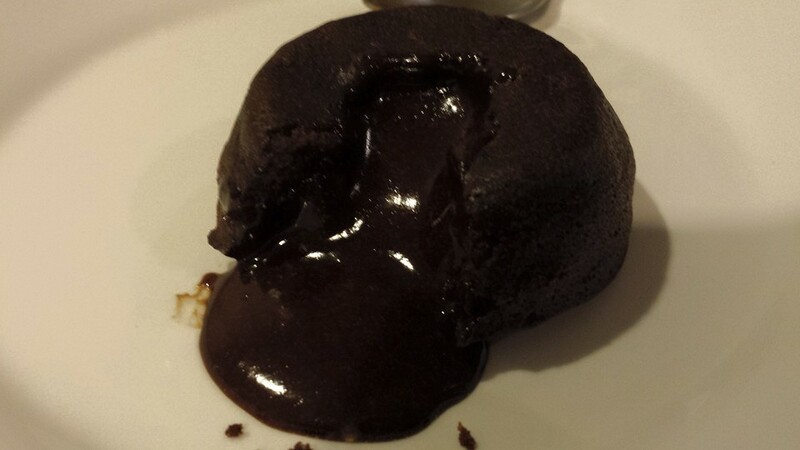 I was successful in my 3rd attempt in creating the oozing chocolate lava cake, and thanks to Facebook for being such a faithful repository of memories, that was on 22.8.2012! my popular cakes are the first 3.
the jam crumb cake was good, but not so special, the apple pie was tedious & ok, again no wow. 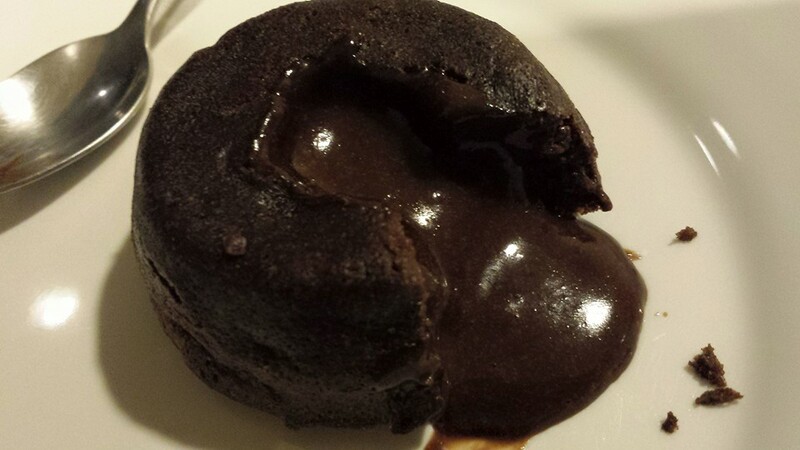 recently, did the lava cake again for a 9pax dinner on 28.9.2015. & it wasn’t that great, so i thought i gave it a try again. then it’s just 3mins 30secs in a preheated 210degC oven on the grill function. i timed on phone timer & removed immediately. the cake would have lifted from the side near the top. i use a knife to move round the edges to separate the cake from the tray. 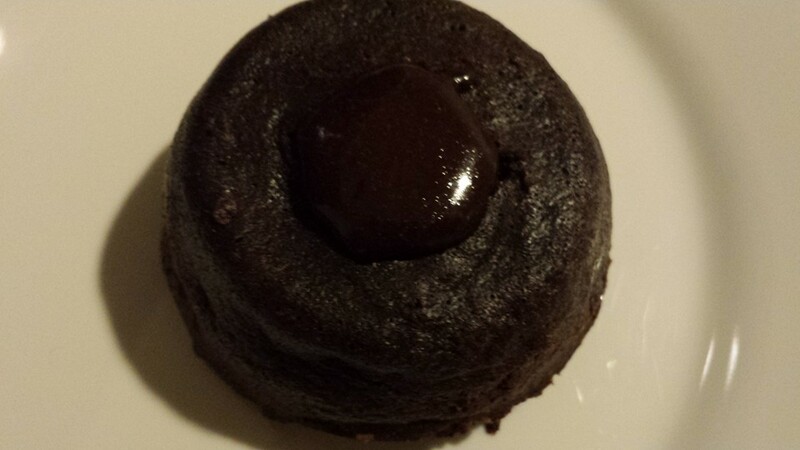 then i inverted the muffin tray over another flat try & served the cake with ice cream. 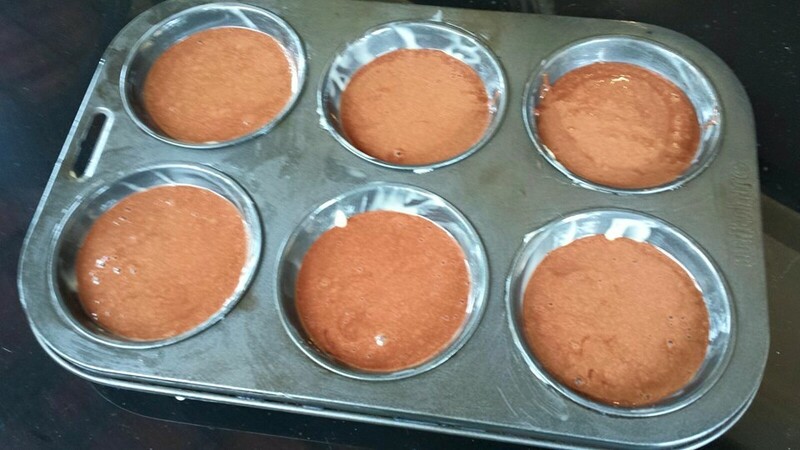 that i knew as i had tasted the cake mix before baking. there was certainty & confidence on the taste & flavours. the flowing lava was somehow an unknown though previously i did not have much difficulty reproducing the oozing lava. i am still not satisfied this time. will probably try one at 3mins 15secs to get more oozing lava. 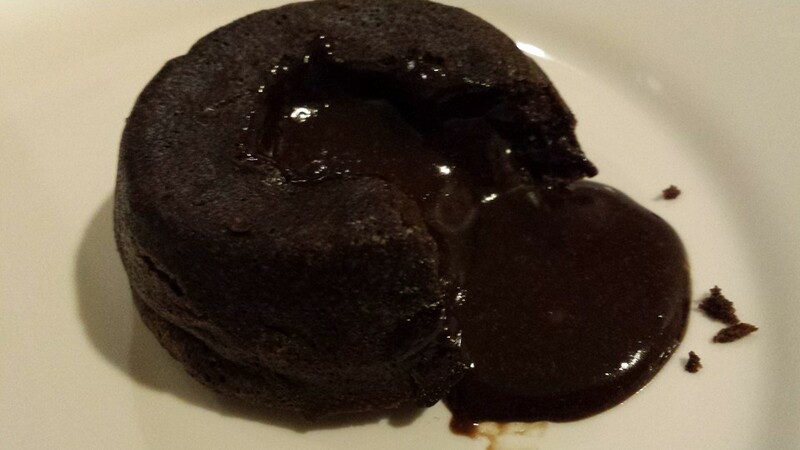 This entry was posted in Recipes and tagged 210degC oven, cadbury old gold 70% cocoa, choc lava cake. Bookmark the permalink.